Whether you have a general question about the Scottish Rite, need to contact our office staff, or would like to visit us in person, we'd love to hear from you! Our office is open 7am - 4pm (MST), Monday - Thursday, and 7am - 12:30pm (MST), Friday. If you need to reach us outside our normal business hours, feel free to send us an email (see below). If you have questions pertaining to dues, membership records, or any other general inquiry, please email the office staff at: . If you have any comments, corrections, or suggestions regarding the Rite Works newsletter, or if you would like to make a submission for a future issue, please email the editor at: . If you have any comments, questions, or suggestions regarding this website, please email the webmaster at: . 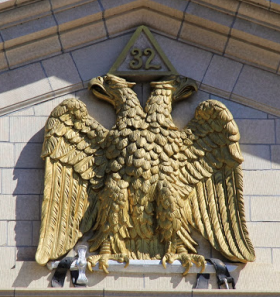 The Scottish Rite Valley of Denver is located at East 14th Avenue and Grant Street, diagonally across from the Colorado State Capitol Building (southeast corner). The administrative offices can be found on the third floor of the annex which is adjoined to the south side of the main building. When visiting the office, enter the annex from Grant Street through the double-glass doors and take the elevator to the third floor.